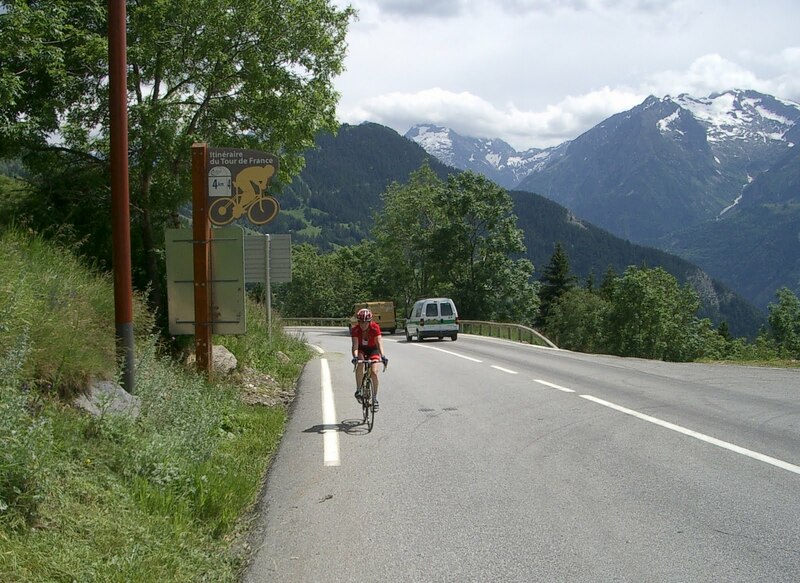 In 2007 I rode up the Alpe d'Huez with my brother Mike on a peaceful non-Tour de France day in June. 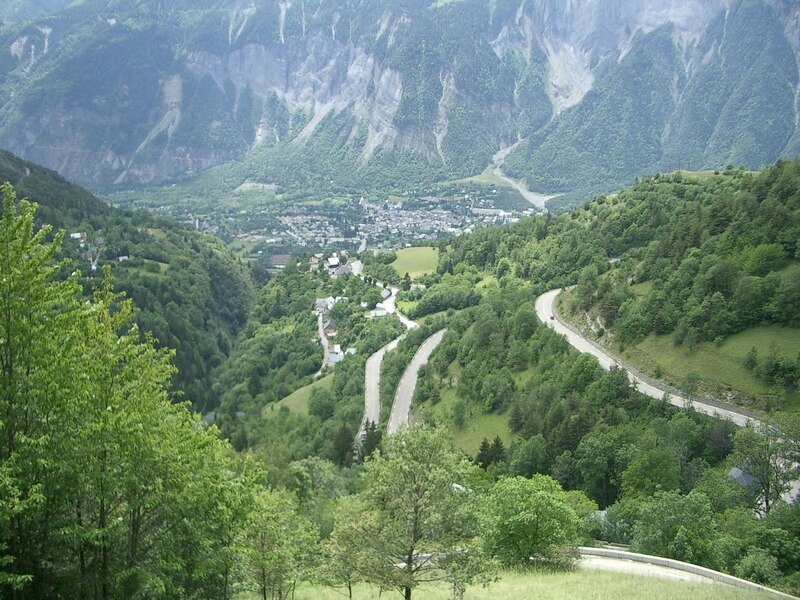 The most striking thing about riding L'Alpe d'Huez on a bike, is that the switchbacks appear to come in three parts. You see a section above, ride it, only to come around the bend and see another section, ride that, then another one appears. It is like getting a lump in your throat every 3-5km, "okay, now I'll ride up that", "okay, now I'll ride up that". This ride is not over, until it is over. Over comes at the ski station at the top and a nice cool drink in one of the cafe bars. However this climb is honestly not that hard (unless you come over the Col de Telegraphe and the Galibier first). 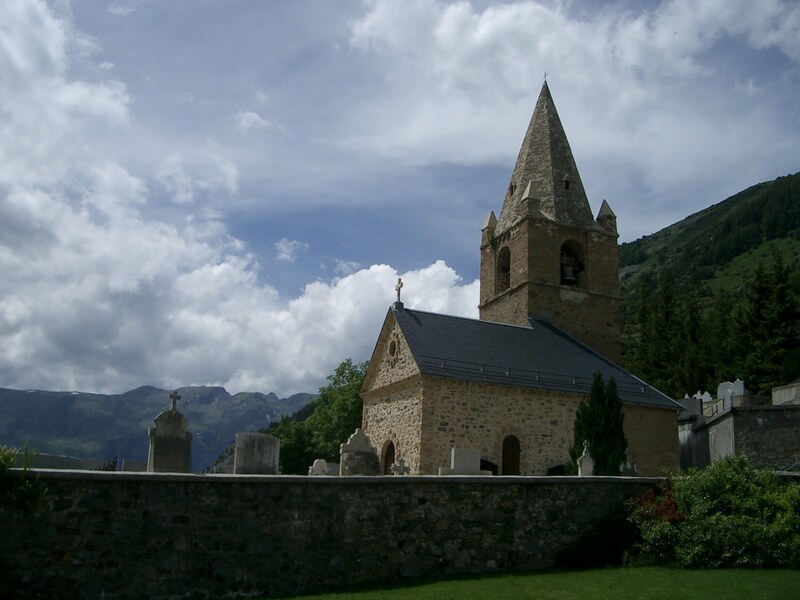 The climb of Alpe d'Huez is only 8.9 miles long from Bourg-d'Oisans, a nice town at the base of the climb, with plenty of parking and cafes to sit and watch the cyclists come and go. I like this climb. As you climb Alpe d'Huez the views of the valley below are changing, the switchbacks are a nice relief on the body, and the marker signs at every numbered switchback are very entertaining to read. I also find the relatively flat corners sort of fun to ride (until the much steeper straight hits just after each corner). I was aiming to beat Lance Armstrong's time, but I am certain I at least beat Sheryl Crow's time. Record holders: Marco Pantani was the fastest at 37.35 minutes, Lance Armstrong 41.18 minutes. Signs on Alpe d'Huez: There are 21 hairpin bends on Alpe d'Huez. 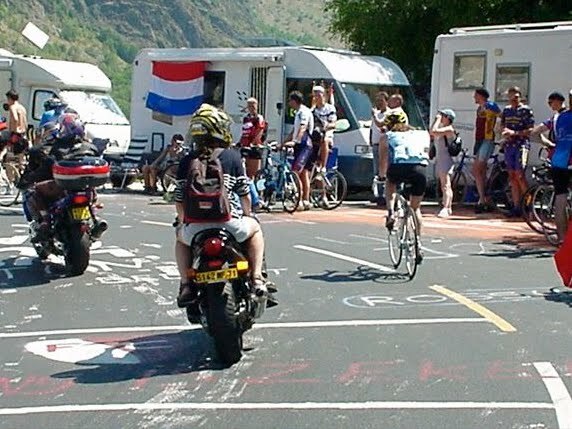 (Follow the link to learn more about the signs on Alpe d'Huez). I also rode up the Alpe d'Huez in 2003 on a crowded very hot day of the Tour de France. The hardest part (by far!) was descending the mountain amongst the crowd after the stage was over. On that Tour de France day in July, I waited with a very nice French family and their not so high tech TV set-up for the Tour riders to come up the valley from the Col de Galibier over the Col du Lauteret into Bourg d'Oisans and up Alpe d'Huez. It was a very long but memorable day. Read more about the hairpin turns on Alpe d'Huez on my post "21 steps to heaven, or 21 steps to Hell". Great information about the signs on the climb. 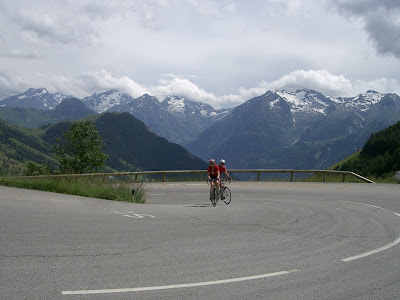 Read all PedalDancer posts on Alpe d'Huez. Or go directly to Climbing Alpe d'Huez. The Grenoble Cycling page for Alpe d'Huez. The Climb by Bike page for Alpe d'Huez.